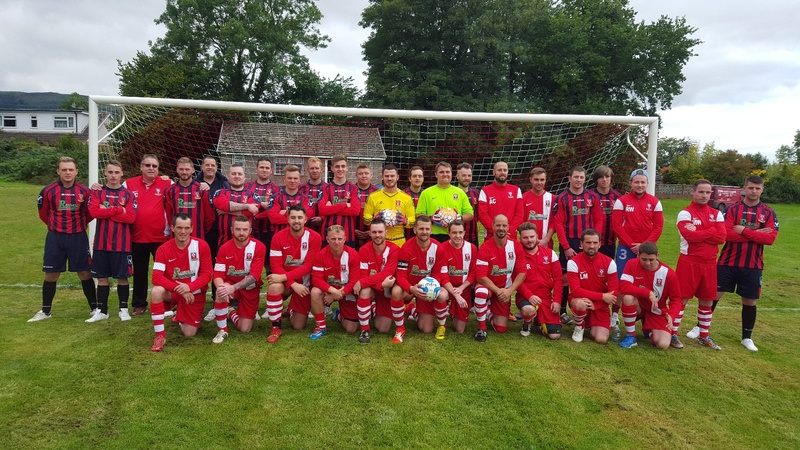 Gilwern grind out a another win. Another fine win although Gilwern had to really work hard to grind this one out. Llanfoist appeared to be thirsty for a victory and began the game in earnest putting pressure on the Gilwern defence, however solid work in the back ensured that any Llanfoist attacks were thwarted. Gilwern took the lead midway through the first half when Thomas Baynton, making his first appearance for the club, slotted home nicely following some neat individual play Gilwern led 1-0 at half time. The second half saw much of the same with llanfoist having a fair share of possession and they were awarded a free-kick just outside the box and scored with a fine shot beating Dan Hook at the far post. Mazza Williams came on after 60 minutes and had an influence of the side as Gilwern appeared to improve dramatically and play good football. Sean Chidgey(3) got the first of his goals with a nice looping shot giving the keeper no chance following the goal Gilwern took total control of the game and looked very threatening Sean Chidgey netted twice more to give Gilwern their well deserved fourth successive win. Man of the Match: Sean Chidgey.